Indians traveled across Chatham County long before it was established. Stone arrowheads found by early farmers as they cleared or plowed land was the most common evidence of their presence. Records show that some of the first settlers in Chatham County, arriving in the mid 1700’s mostly from the north or up the Cape Fear River valley from the southeast, were of European origin. The early settlers were concerned primarily with agricultural pursuits. 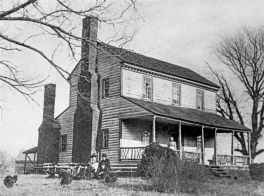 An English Quaker settlement was established in 1751 in the western part of Chatham in what is now called Siler City. Chatham County, originally part of Orange County, was established through a bill introduced by the Colonial Assembly on December 5, 1770. The act to form Chatham County was effective April 1, 1771. The extreme difficulty and expense of travel to conduct business for southern inhabitants of Orange was documented in the act as the reason behind the need for the new county formation. The county was named in honor of William Pitt, the elder, first Earl of Chatham who was a defender of American rights in the British Parliament. Pittsboro, formerly named Pittsborough, was the first town to develop and was named the county seat in 1787. Pittsboro was named after William Pitt, the younger, who at age 24 was the youngest man to hold the office of prime minister of Great Britain. Haywood, an older town located adjacent to what is now Moncure, was Chatham’s second town. Moncure was established in 1871 when the Raleigh and Augusta Air-Line Railroad obtained land there. In 1884 the opening of the Cape Fear and Yadkin Valley Railroad through western Chatham stimulated the development of the towns of Goldston, Bear Creek, Bonlee, and Siler City along its right of way. Gulf and Ore Hill, were in existence before the railroad was built. Ore Hill is now the present day Mount Vernon Springs. 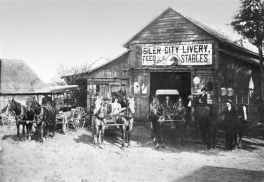 Bear Creek was originally named Richmond after Richard Jones who opened a business in Bear Creek in 1885. Bennett was first known as Beck Springs and as Beck Mountain. Bennett was later named after J.M. Bennett, a Southern Railway Superintendent. Bynum was named after the Bynum family who were founders of the local mill and long time residents. In early years, justices of the peace, appointed by the General Assembly of the State, governed the county. The justices appointed other county officials, including the sheriff, coroners, constables, clerk, register, county attorney, standard-keeper, entry-taker and surveyor, rangers for stray animals, and overseers of roads. 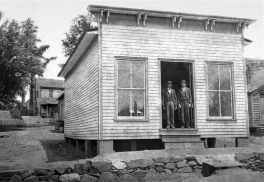 In 1868, due to reconstruction and the new State Constitution, a five-member board of county commissioners was established. The county was divided into townships and the court system was changed significantly. In 1894, the justices of the peace were eliminated from county government. In 1977, the first county manager was appointed and the council-manager form of government was adopted. Chatham County's population in 1790 was recorded as 9,221. As of July 01, 2017, the county population was estimated at 71,472.